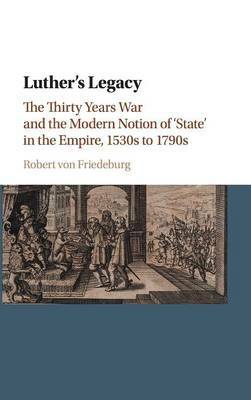 In this new account of the emergence of a distinctive territorial state in early modern Germany, Robert von Friedeburg examines how the modern notion of state does not rest on the experience of a bureaucratic state-apparatus. It emerged to stabilize monarchy from dynastic insecurity and constrain it to protect the rule of law, subjects, and their lives and property. Against this background, Lutheran and neo-Aristotelian notions on the spiritual and material welfare of subjects dominating German debate interacted with Western European arguments against 'despotism' to protect the lives and property of subjects. The combined result of this interaction under the impact of the Thirty Years War was Seckendorff's Der Deutsche Fürstenstaat (1656), constraining the evil machinations of princes and organizing the detailed administration of life in the tradition of German Policey, and which founded a specifically German notion of the modern state as comprehensive provision of services to its subjects.